2PCS High Capacity Battery!Fast shipping!CE UK Charger! Reflector flat lense gives you high definition coverage. - Adjustable beam angle, point it straight ahead or on the floor - multi-point angles. - Multiple LED mode settings for light intensity and flashing. 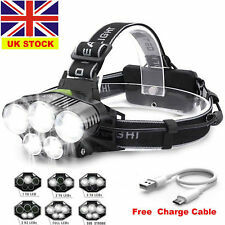 Outdoor Tactical LED T6 50000LM Lamp Flashlight Zoomable Torch 5-Mode 18650. UK The Tank Engine Tender Wooden Magnetic Railway Train Toy Truck Car Kids Gift. 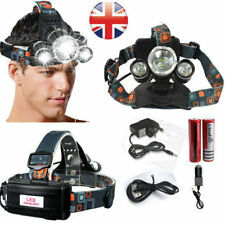 Ultrafire Tactical 15000LM LED Flashlight Torch Lamp T6 Zoomable Focus Light. 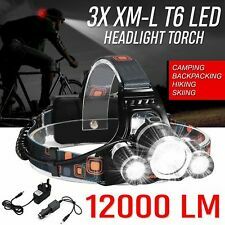 1 x XM-L2 15000Lm Headlamp. LED model: L2 LED bulb. Battery model required: 2x 18650 batteries (included). Aluminum reflector alloy. The red indicator light on the battery holder plays a good warning role in the night walk or in cycling. 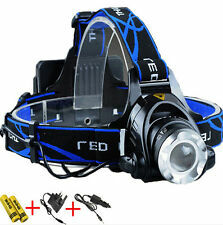 Our T6 50000LM 7-Mode Waterproof LED Headlight is a cost-effective trade-off. 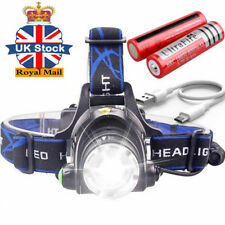 1 x LED T6 COB 50000LM Headlight Torch. 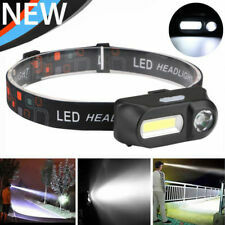 LED Type: T6 COB. 2x 18650 Battery. The switch location may be on the headlamp or on the line!